*I received a free copy of this book from the publisher via Netgalley in exchange for an honest review. 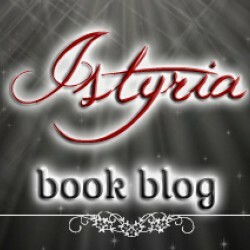 *This review was originally posted on my blog: Istyria book blog.This book is so unique and original and the cover alone is enough to raise my expectations to a really high level. But sometimes it's dangerous and risky to have such high expectations. It doesn't always pay off. Lucky for me, it has payed off, twice in a row now. 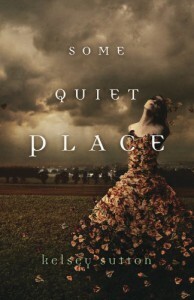 I can honestly say that I love this book and I love the cover even more. (Seriously. Admit it. That cover is gorgeous. )This story is about Elizabeth. She doesn't feel anything. No emotions at all, but she can see them. She sees Emotions, Elements,... She can talk to them like they are human. What is she and why doesn't she have emotions herself? The blurb made me really curious and I knew that this book, if well-executed, could be amazing. And I was right. It really is. It was so intriguing. I loved how the emotions are 'alive' in this book, in a way. Kelsey describes them so good, I can really picture them in my head. I even cared for some of them. It made the story that much more realistic. The writing is also great. It was really hard to put this book down and even when I wasn't reading, I was still thinking about it. What happened to Elizabeth? That was the main question I had the whole time. And when I finally got my answer, it was a total surprise. But a good one. It was awesome. It really was. Now, the characters. It may seem hard to really feel a connection with a main character that doesn't feel anything, but I did. I did feel a connection with Elizabeth. She's different from others and the people at school call her freak and life at home isn't that perfect either. Far from it. She has to pretend to feel something about all that and it's hard. Some people, like her mother, know something is wrong with her, but she can't tell anyone. The only ones who know, aren't really human. They're emotions. At that point, I could connect. I know what that's like. Being bullied at school, don't feel like you belong, don't have anyone to talk to,... A lot of people feel that way. But that was what's complicated too. She couldn't feel that. It's really hard to understand now that I think about it. She can't care about anything but she does. She may deny it, but she cares and she feels. My heart broke a bit at one point, as if I was feeling for her. I really liked Joshua. He was so cute and he plays a part in Elizabeth's life too. He's not just a side character, that's all I'm saying. Oh and Fear. I liked him. Even though he's an Emotion and not actually human, I really liked him. It's weird to say that about an emotion (one that I hate at that...), but I really cared for him. To conclude this review, I'll just say that this a wonderful book about a girl who doesn't feel anything, but that makes you feel so much. And for once, it's okay to judge a book by it's cover. I did it and I don't regret it. At all.